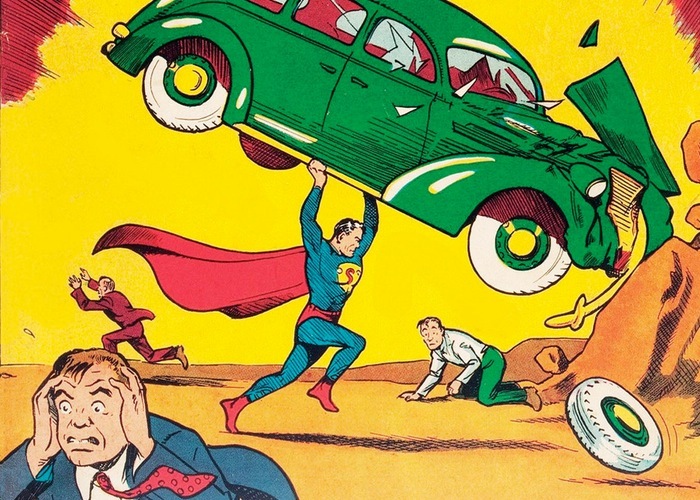 At auction this week a copy of the very first action comic printed by Action Comics back in 1938, has been sold for an impressive $3,207,852.00 via an eBay auction. The first comic by Action Comics is regarded as the “Holy Grail” of comic books, the one up for auction is believed to be one of as few as 50 unrestored original copies of Action Comics #1 still in existence. The huge price reached by the sale of the No. 1 comic has set a new record, as you might have guessed due to the rarity of the original comic which was the first to be printed by Action Comics. Only 2 are known to exist with perfect white pages (a CGC 2.5 and this copy, a CGC 9.0). Earlier this week collectibles dealer, Darren Adams sold his copy on eBay starting the bidding at just $0.99. In total there were 48 minutes made on the comic steadily increasing the price to its record-setting $3 million price tag. Passing the previous best price attained by a first edition back in 2011 which raised $2.1 million. Check out the video below to see what a $3 million comic looks like, after being kept in a cedar box in the mountains for many years.